Home / General Dentistry / How Often Should You Go to the Dentist? Most people don’t like going to their Chattanooga dentist, but here’s a news flash for you. If you went more often, the visits wouldn’t be so bad. Keeping up with your dental health is really important. If you find yourself wondering, how often should I go to the dentist, you either don’t go enough or maybe you go too often. Yes, those people do exist. Let ‘s take a closer look at why it’s essential to visit the dentist, and how often. 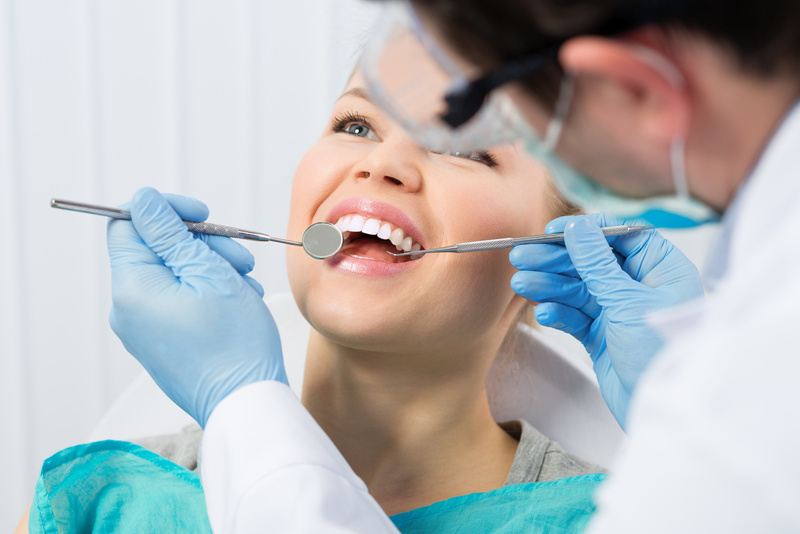 There are a few benefits of regular visits to your dentist that may not be as obvious. Oh, that marvelous freshly polished feel of your professionally cleaned teeth. Getting your teeth cleaned has a few bonuses. Your teeth just feel better, and they look better, as well. You are more likely to brush and floss more regularly after cleaning, to keep that fresh feeling as long as you can. The once over allows the dentist to get in and make sure everything is okay. There may be weakness, cracks or cavities you are not aware of, so thins can save a lot of future pain and money when they are found quickly. The check-up is also a great idea for anything else that may be a potential problem. If you have some gum issues that may need attention or even some kind of other issue or something there that doesn’t quite seem right. They will know what to look for, and if they spot something that looks like a potential problem, they can refer you to someone else, if needed. Some studies show that a healthy mouth can be beneficial to your overall health, and may be essential for staving off other health concerns. Poor dental hygiene can cause a build-up of bacteria that may lead to other diseases. The old standard of twice a year is a good rule to stick to. There may be reasons you need to visit more, and some of you may be able to get away with an annual visit only. If you are young and healthy and take good care of your teeth, you may be okay with only once a year visits. Certain people will need more visits. If you are pregnant, you may want to visit twice. Better safe than sorry. If you are a smoker, you should have regular check-ups for cancer screening and a good cleaning. If you tend to get a lot of cavities, have a poor diet or already have some form of gum disease, you should have your teeth and gums checked regularly. If you have a weak immune system, it is also a smart decision to keep your visits to the dentist to at least twice a year. How often should you go to the dentist? For a healthy person, you need to visit the dentist at least twice a year for checkups. However, if you have a dental issue, your dentist should help you determine the right schedule. Taking good care of your teeth is easy and should really be a part of your daily routine. Please feel free to contact us with any questions you may have or to come in for a consultation.